1. 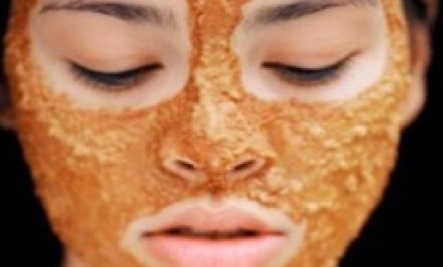 If you have a little leftover pumpkin in the can…and happen to be in need of gorgeous skin: Skip the jack-o’-lantern face and try a honey pumpkin exfoliating mask. 2. 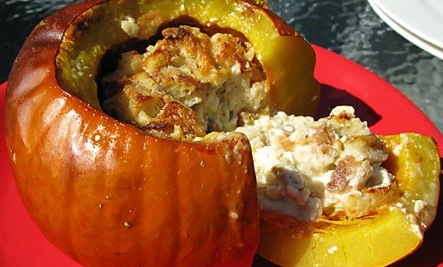 This rough recipe for a really good stuffed pumpkin comes from doriegreenspan.com. Even better? This recipe for cornbread-stuffed pumpkin with sauteed greens. No serving dish required. 3. Some may call it hedonistic (hurray for hedonism! )–but slathering yourself in a luscious DIY pumpkin body butter made of pumpkin puree, coconut milk and cinnamon is as good for your skin as it is for your senses. 4. 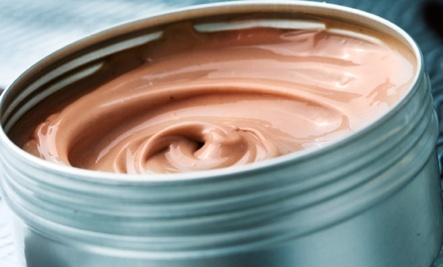 All those pies, pumpkin desserts and holiday cakes; all that dairy-ness! 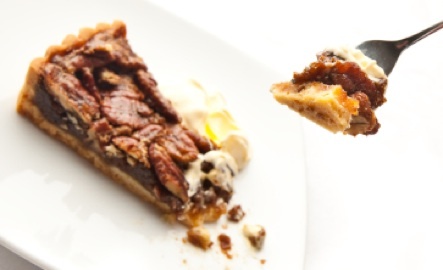 Go animal-loving with this vegan pumpkin pecan pie. 5. 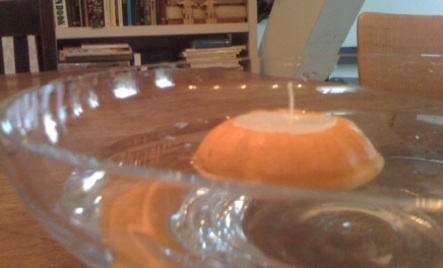 Illuminated jack-o’-lanterns are kid-cute, DIY floating pumpkin candles are adult-cute. 6. 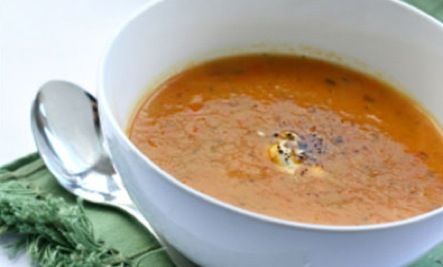 Harvest pumpkin soup with things like leeks, apples, and ginger–a blast of autumn in a bowl. Yum. 7. Sometimes you just need to have a pumpkin mask. Trust me. 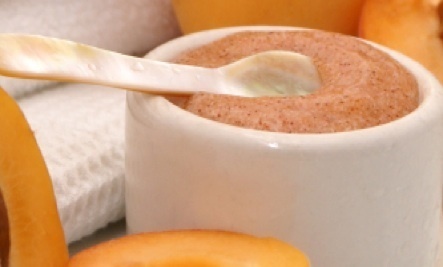 Read about the spa treatment pictured at the Treats to Share blog, or use this super simple DIY formula for a vitamin rich pumpkin face mask. 8. Pumpkin biscuits. Can you see my toes curling? Can you hear the involuntary sighs? 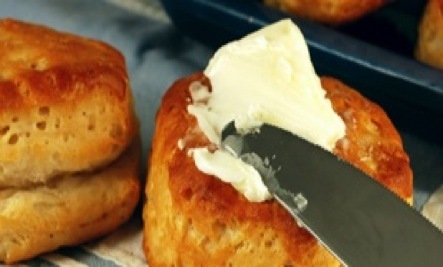 Try these from the Farmer’s Almanac, or this recipe for perfect pumpkin biscuits from James Villas’ Biscuit Bliss. 9. Martha Stewart has these directions for pumpkin pie potpourri, we’ve expanded on that with a DIY fresh-pumpkin air freshener. 10. 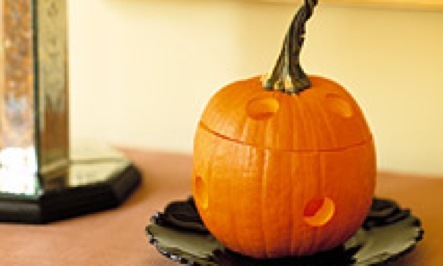 Remove the top from pumpkin, scrape out slime and seeds, toss. Or, wait, don’t toss! 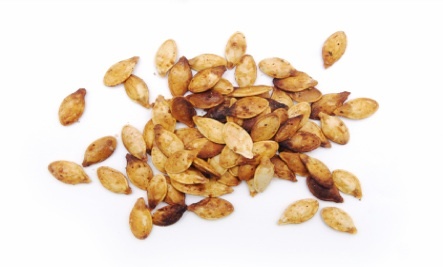 Use the scraped pulp in soup stock or to feed the birds, and make this lip-smacking, bursting-with-nutrients snack: Slow roasted pumpkin seeds. 11. Had enough pumpkin? 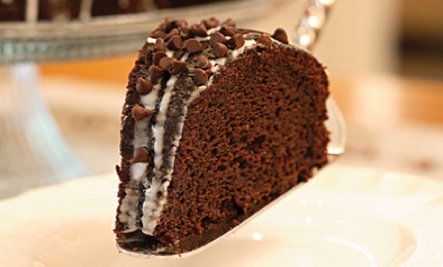 For me, never–so it’s nice to know there’s a way to sneak pumpkin into chocolate cake. The best of all worlds? Chocolate pumpkin bundt cake. Mmmmm. 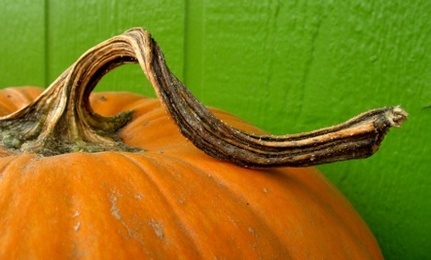 Do you have any favorite pumpkin tricks? Share with us, leave a comment.